Job Cuts Are On The Rise, Should You Be Alarmed? Though there are reports of layoffs by various companies last year that caused some anxiety in the job market, economists are not worried. They believe that this is essential in an evolving labour market. Sunway University Business School economics professor Dr Yeah Kim Leng told The Edge Financial Daily that it will only be a cause for concern if the retrenchment is persistent and spread out across other sectors and industries. He said that the current downsizing only affects industries that face more challenging operating conditions such as rising production costs. Yeah also said the cause of retrenchment is different depending on firms and industries. He noted that these include excess capacity, rising inventories, minimum wage increase, declining export or domestic sales, and disruptive business models made by new start-ups. In the 2019 Market Outlook Report, Randstad Malaysia highlighted that bulk hiring activities have slowed down in the construction and property sector since May 2018. 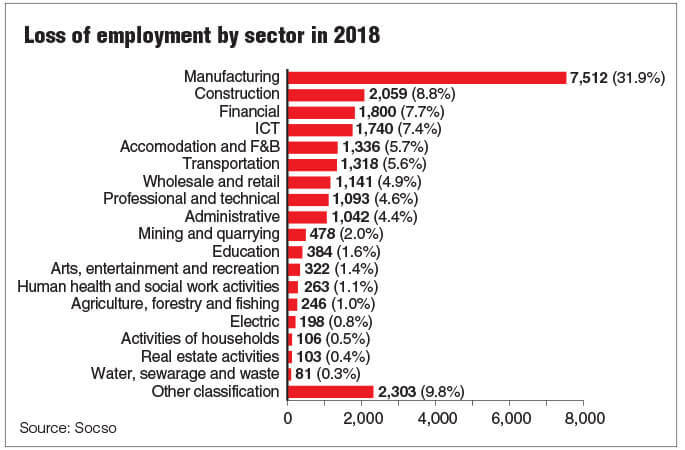 The public sector also suffered from job cuts in 2018, such as the dissolution of the Land Public Transport Commision and the Special Affairs Department. Despite the retrenchments and downsizing, Yeah thinks that the overall labour market is holding up nicely. With the current unemployment rate floating at around 3.3% to 3.4%, he thinks that job growth is at par with the increase in the workforce. There is also a moderate wage growth of 5% to 6% on average. UOB Bank Malaysia senior economists Julia Goh said that the job losses are “cyclical and structural”. She added this is not the first time Malaysia has gone through a cycle of layoffs and voluntary separation schemes (VSS). Malaysia has gone through layoffs and VSS in 2015 and 2016 when the plummeting global oil prices caused massive layoffs across the industry. The difference back then was that retrenched workers did not have the Employee Insurance System (EIS) to support them. Goh said EIS could help to cushion the downside risks from the layoffs. She expects the domestic labour market to remain relatively stable. Introduced in 1 Jan 2018, 4 million employees and over 400,000 employers have registered for EIS. Managed by the Social Security Organisation (SOCSO), EIS requires employers and employees to contribute 0.2% each or 0.4% in total, of an employee’s monthly salary. The scheme is aimed to help employees who have lost their jobs to gain monetary funds that would help them get back on their feet for up to six months. 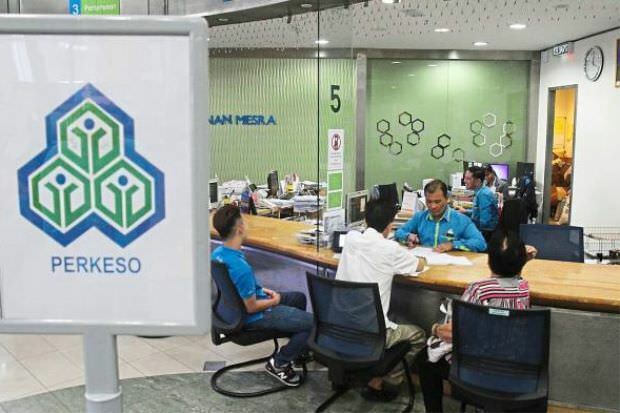 Between 1 January and 31 December 2018, SOCSO received about 23,525 applications for interim assistance. Under the EIS, all types of loss of employment are covered except for retirement, voluntary resignation, expiry of fixed term contract and dismissal due to misconduct. On December 2018, Human Resources Minister M Kula Segaran was reported as saying that the rate of employee layoffs plunged by half in the first nine months of 2018 from 31,945 in the same period in 2017. Need to Fill Your Vacancies, Fast? Post a job now at AJobThing.com the top choice for non-executive and bulk hiring.